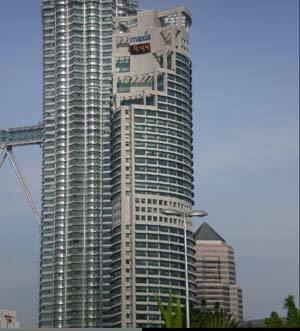 Menara Maxis is the corporate headquarters of Maxis Berhad, Malaysia’s premier telecommunication provider. It sits directly next to the Petronas Twin Towers and forms part of the KLCC development. Menara Maxis is highly sought after for its prestigious address, connectivity via KLCC LRT and surrounding amenities such as Suria KLCC and Avenue K malls.